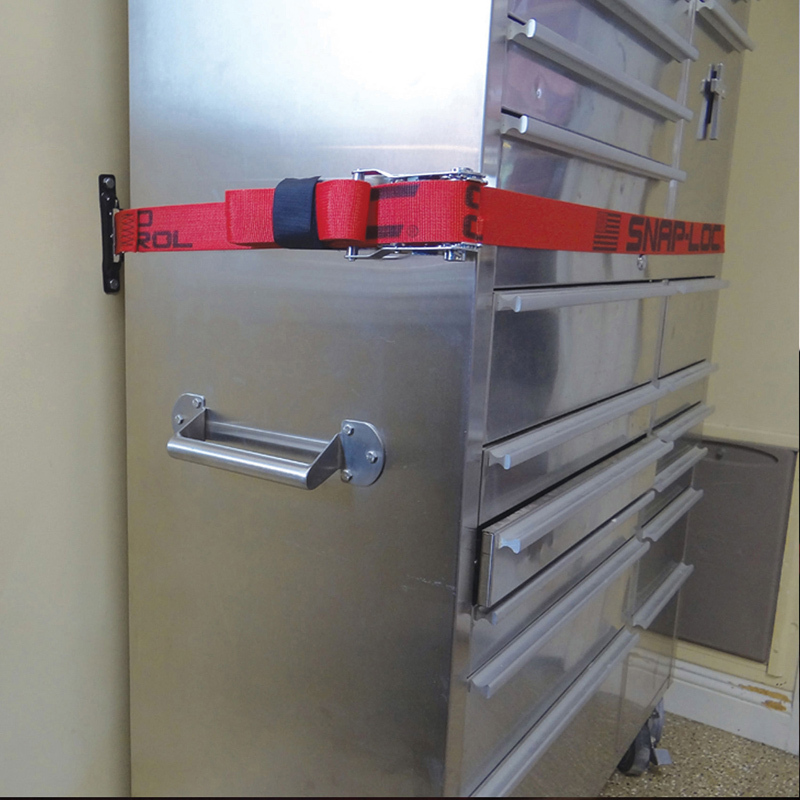 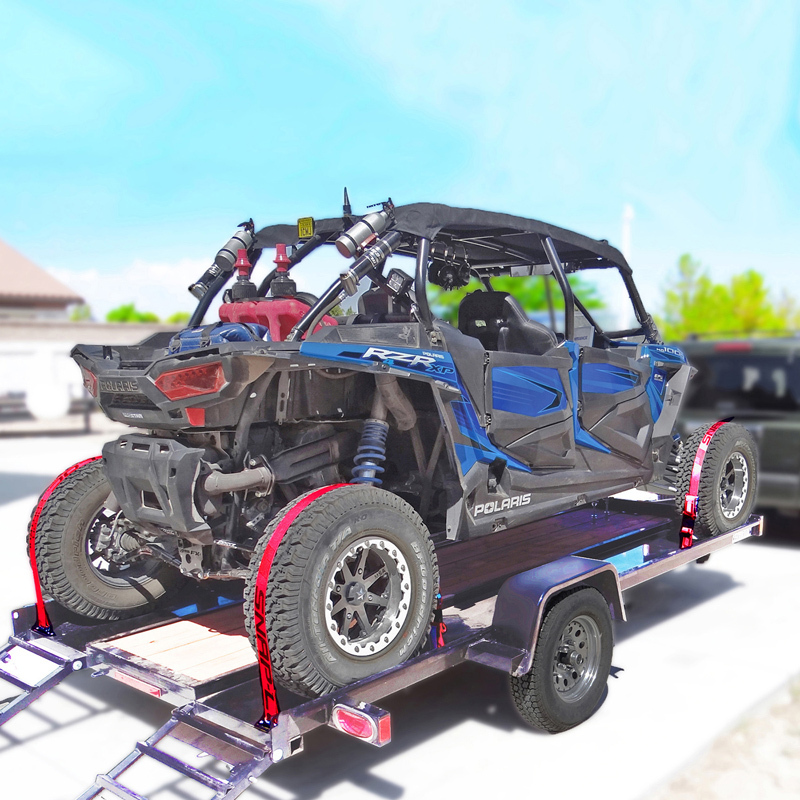 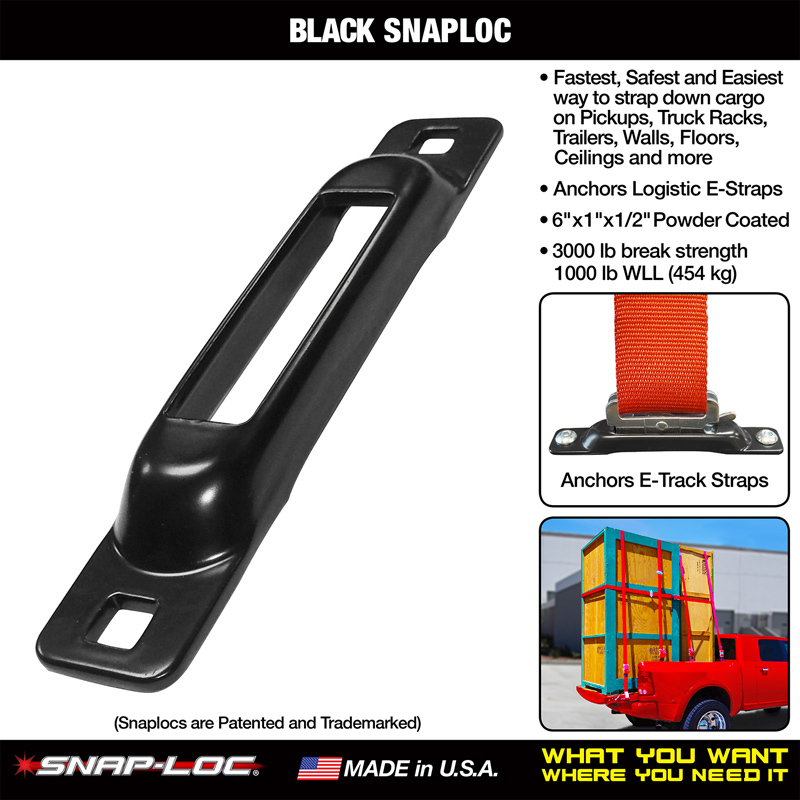 "What You Want, Where You Need it"
"Fastest, Safest and Easiest" way to strap stuff "Where You Need It" on pickups, trucks, trailers, racks, walls, ceilings, floors and more! 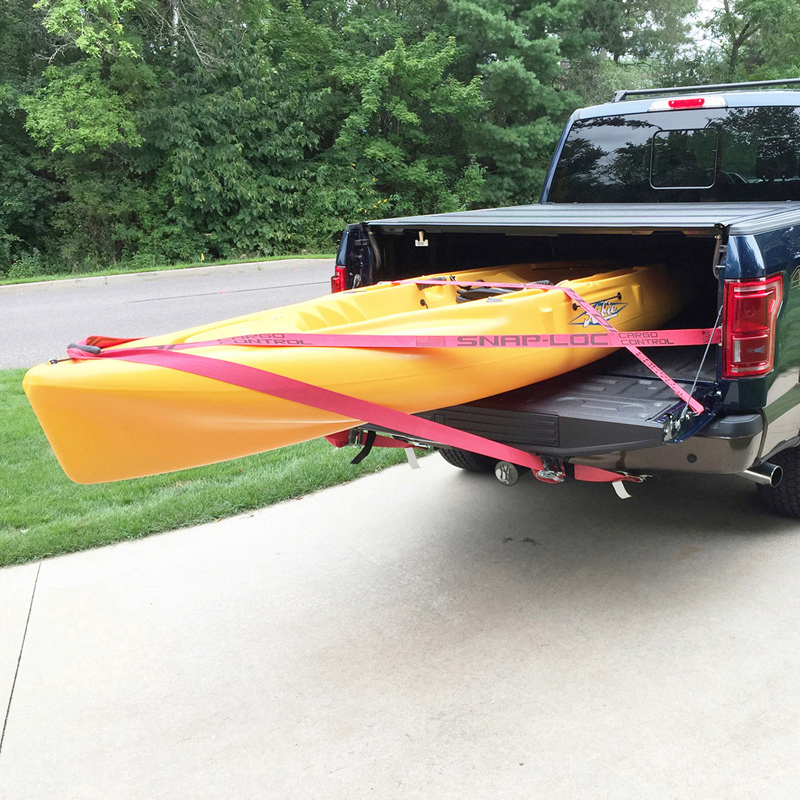 You’re probably sick of wasting time and money buying the same old junky hook straps that come loose and tangle into a frustrating ball of spaghetti! 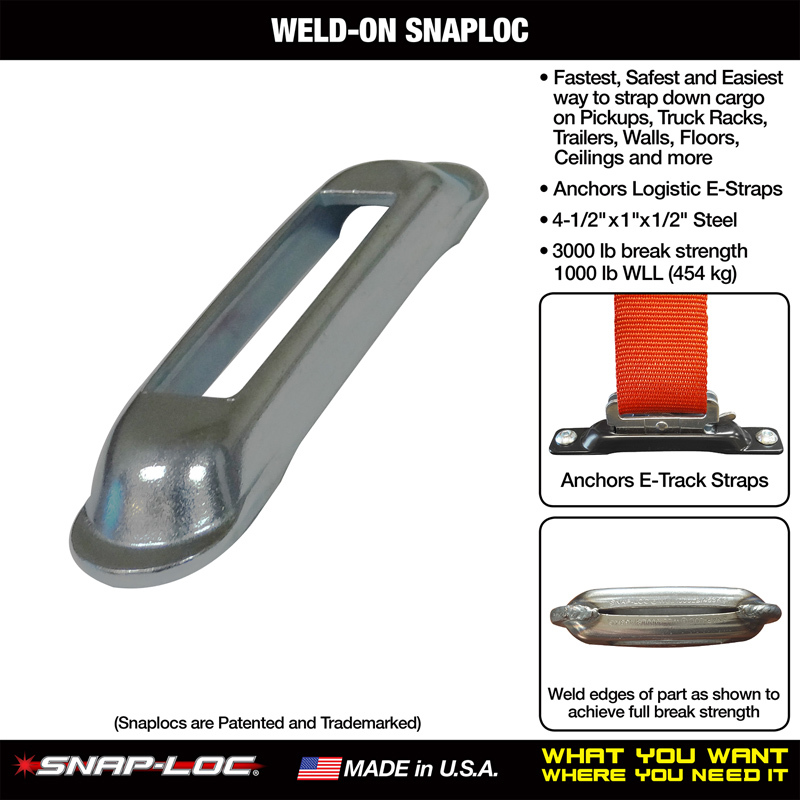 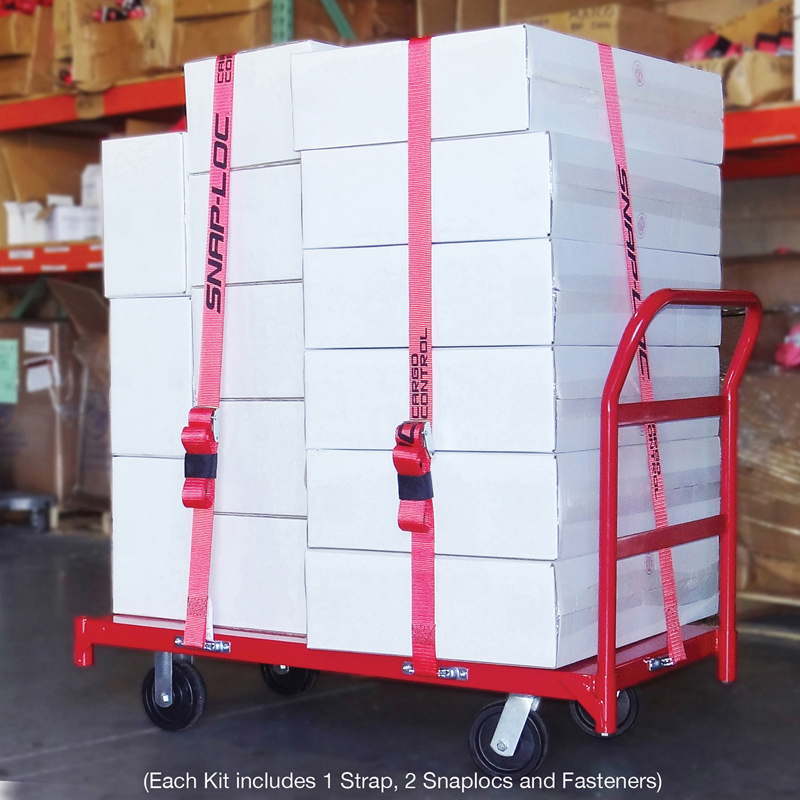 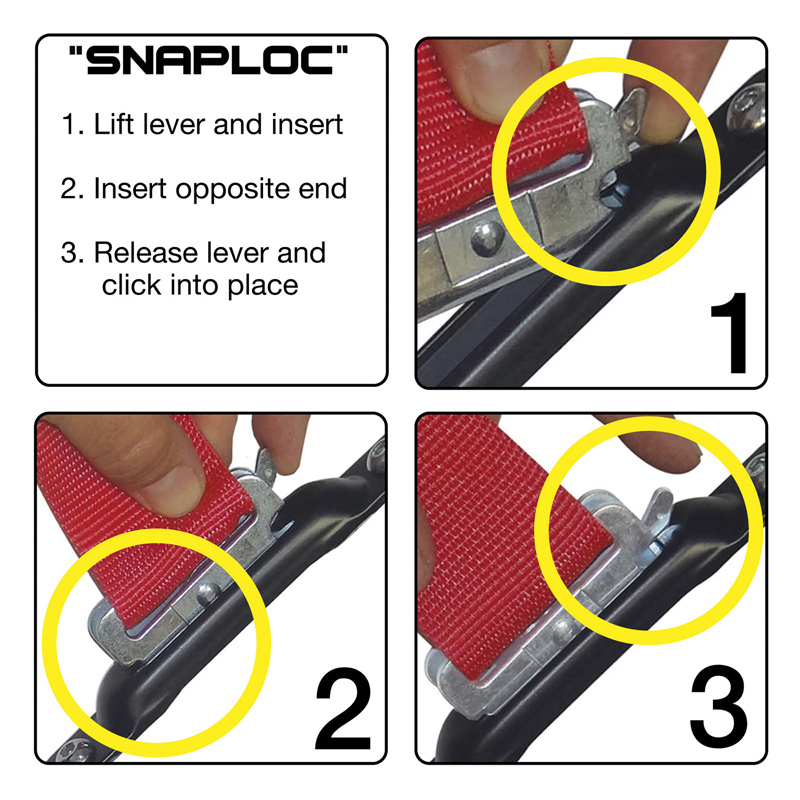 Get "SNAPLOCS" and start enjoying professional truckers Logistic E-Track Straps that lock in place, are heavy duty, long lasting and tangle free! 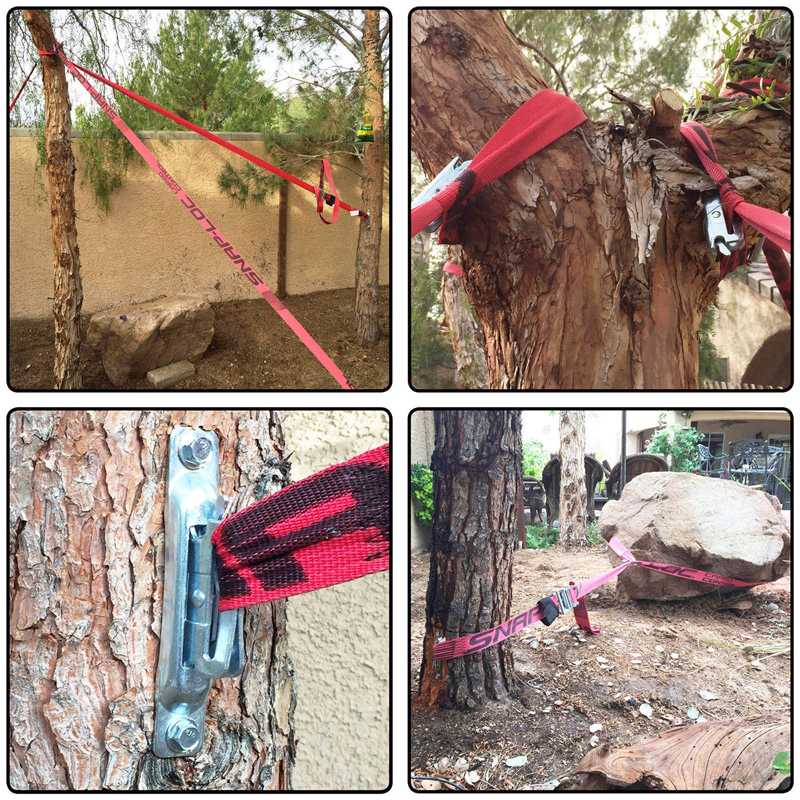 Quickest, Safest and Easiest tie down method you’ll ever have. 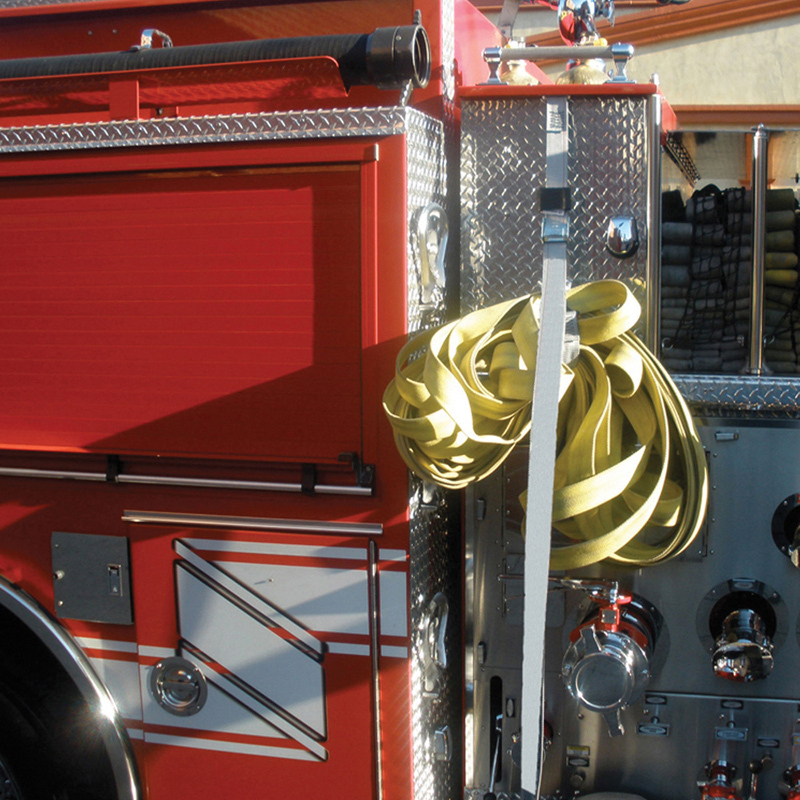 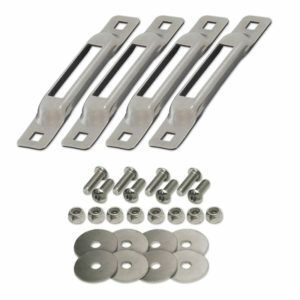 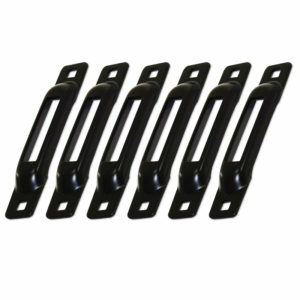 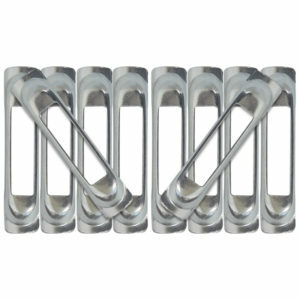 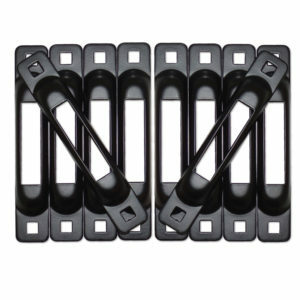 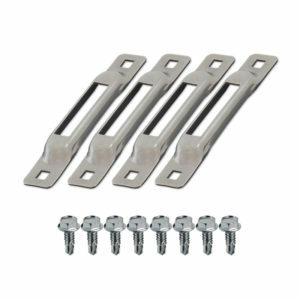 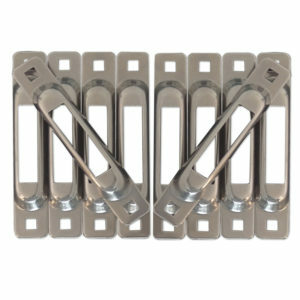 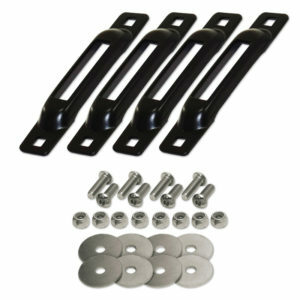 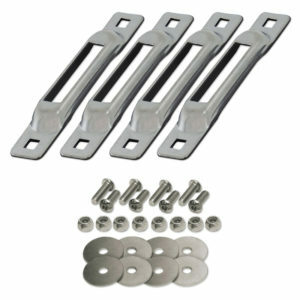 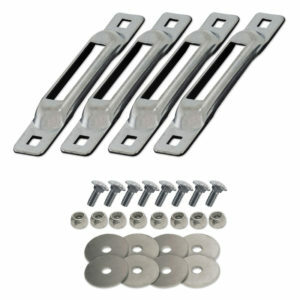 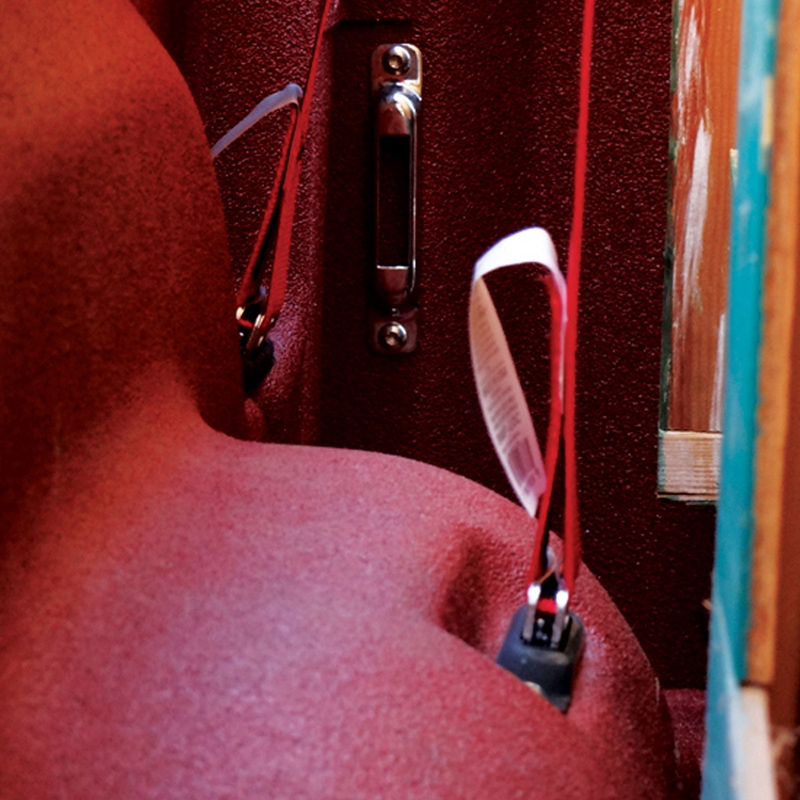 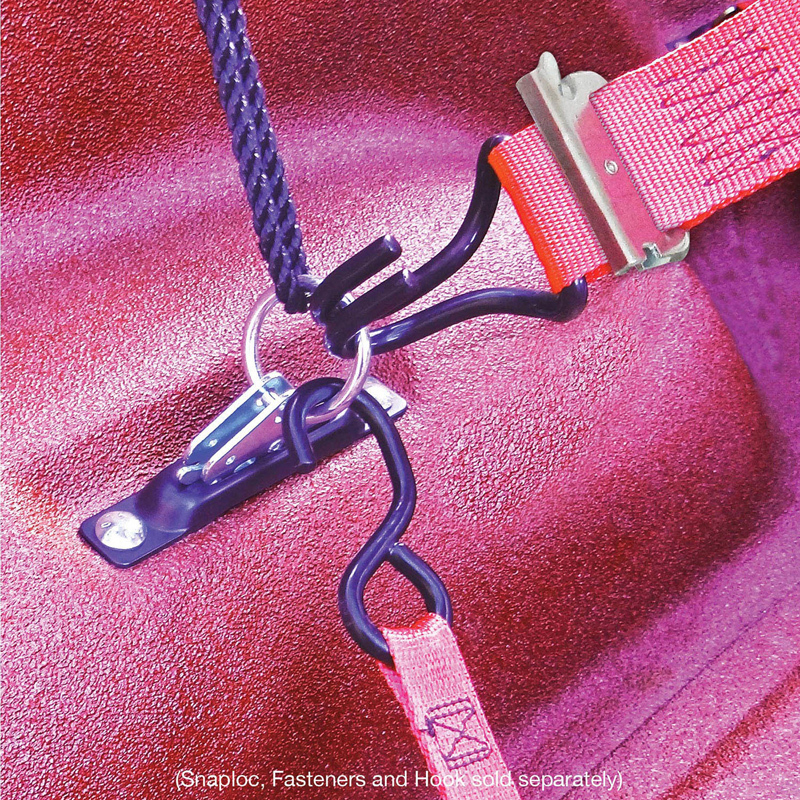 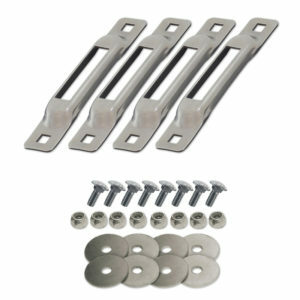 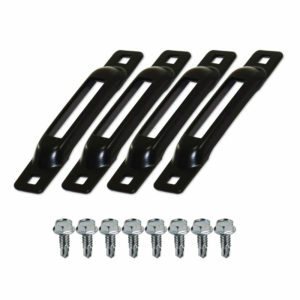 Anchors positive locking E-Straps that won’t fall out or come loose. 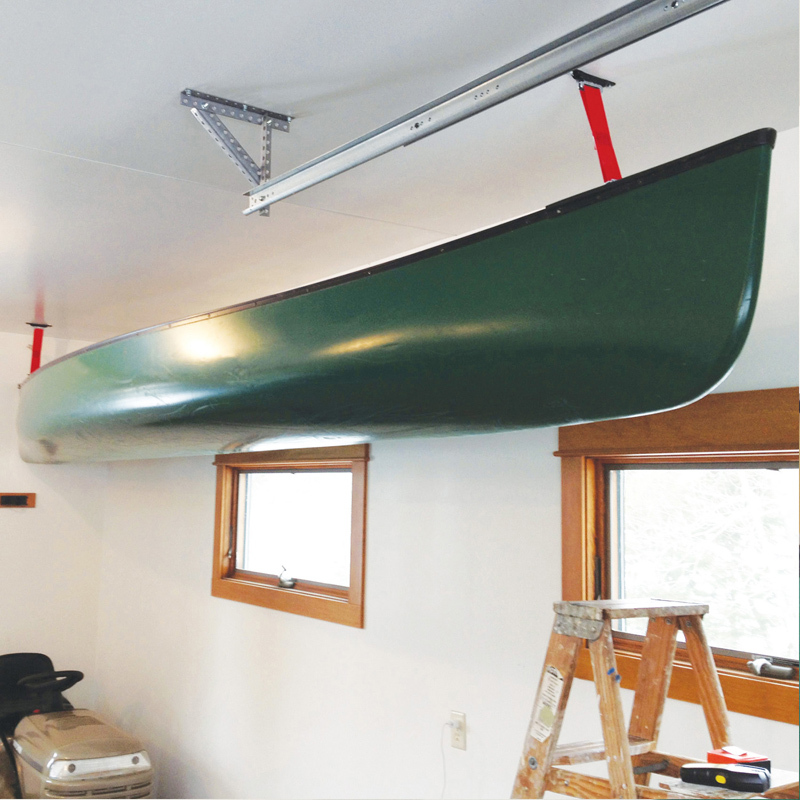 Fast and easy to install exactly where you need it. 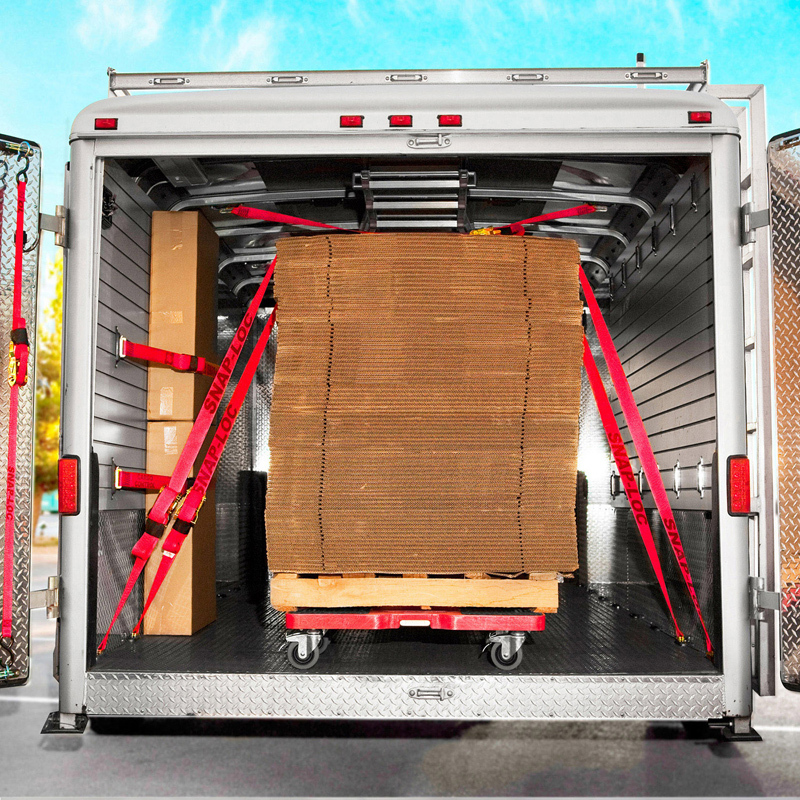 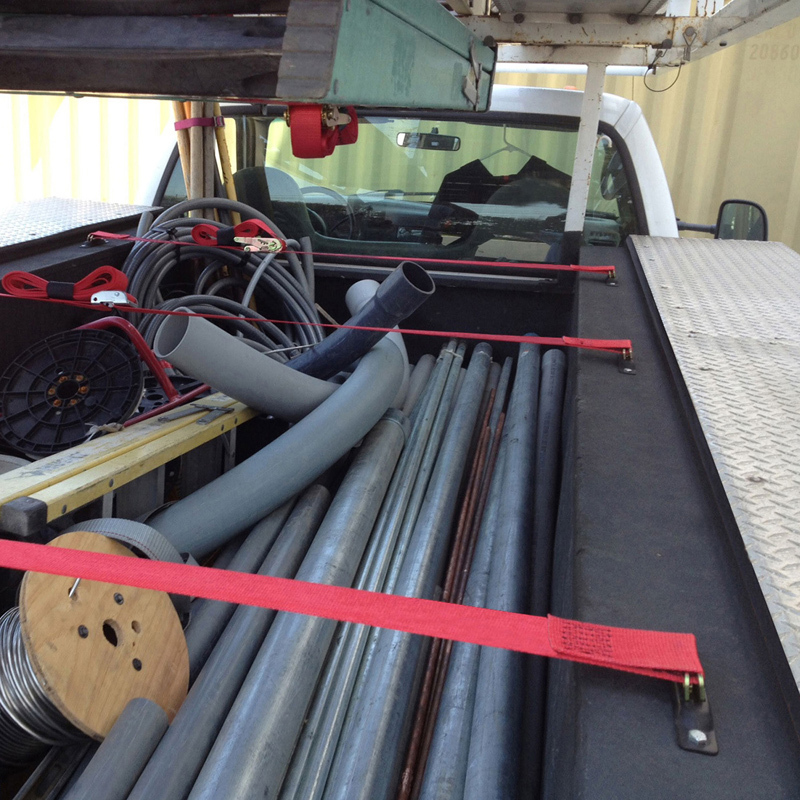 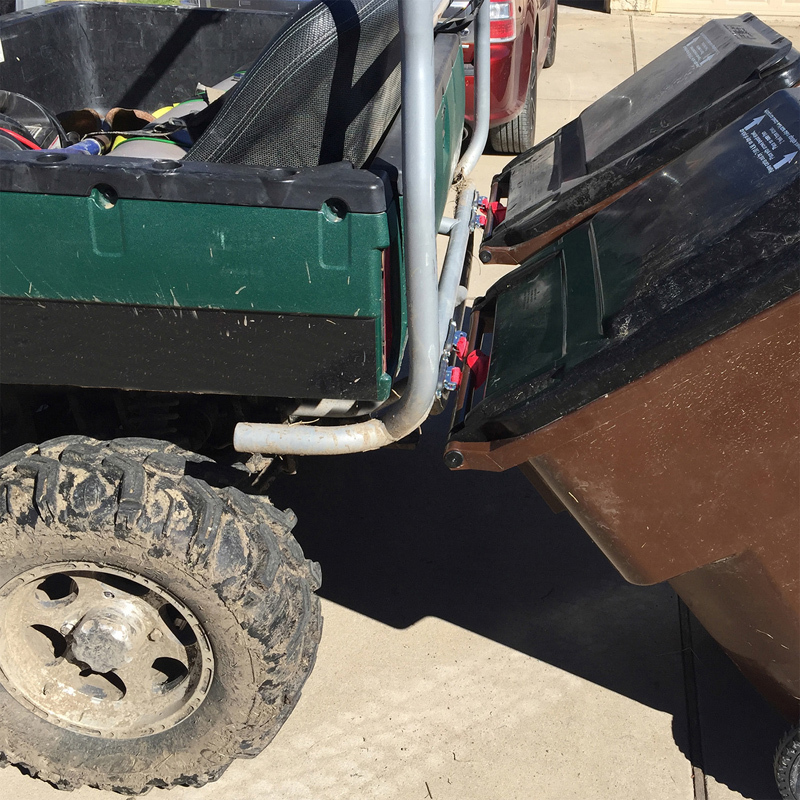 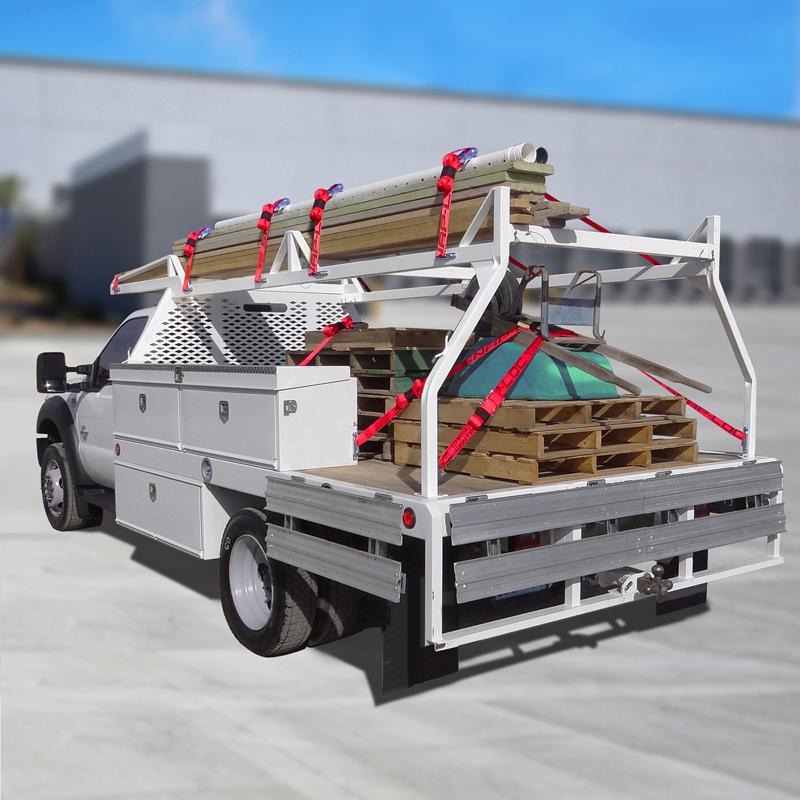 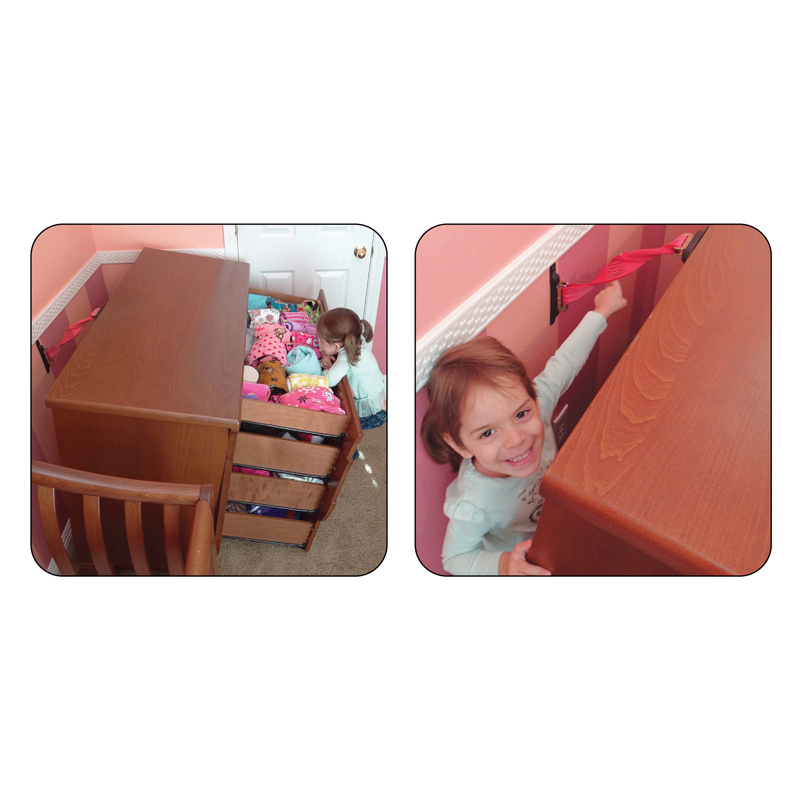 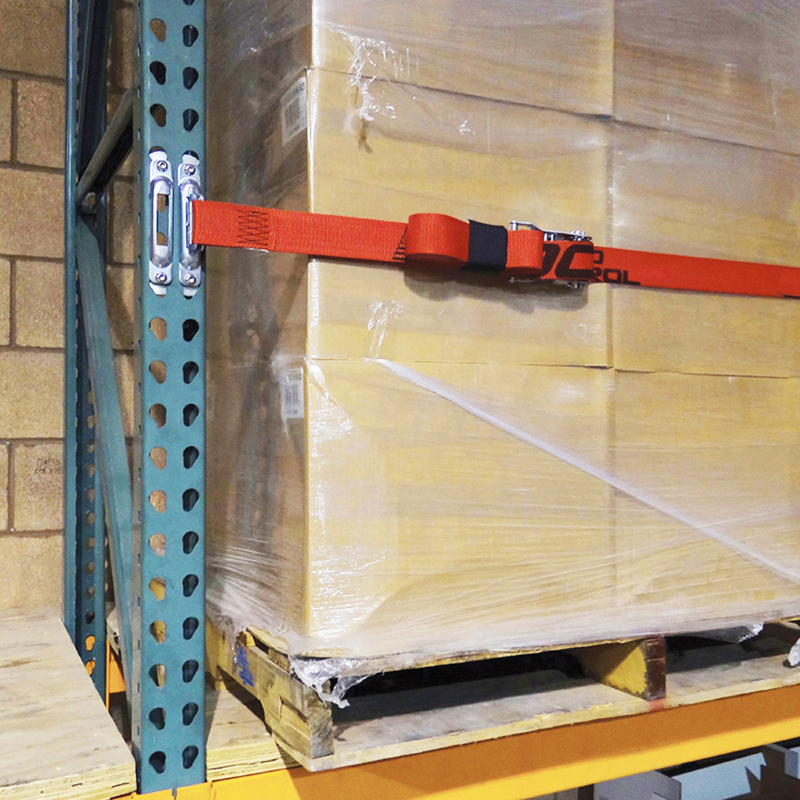 Greatly multiplies tie down locations to safely haul more stuff per load. 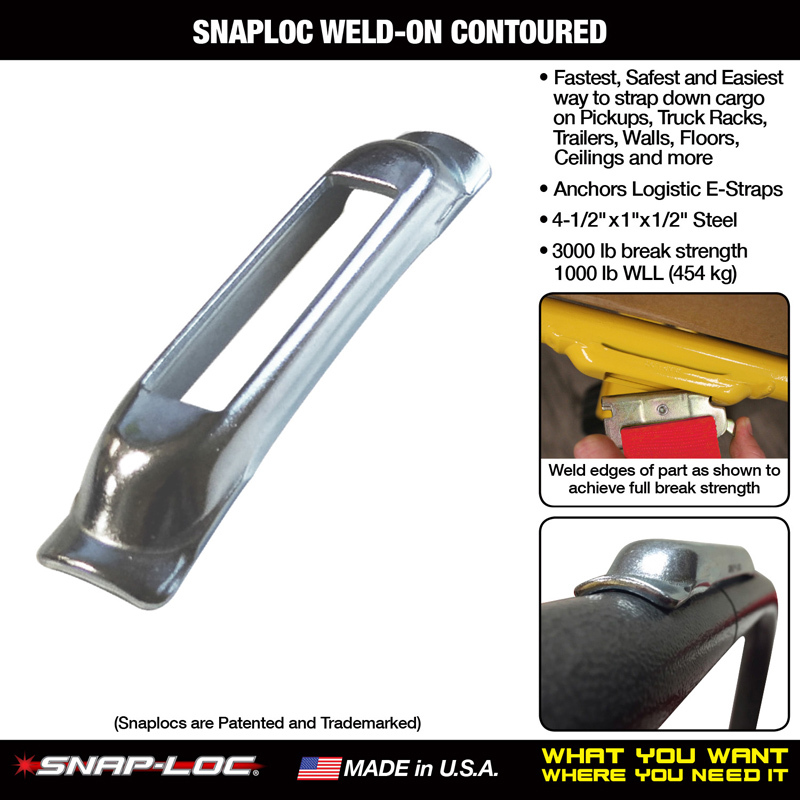 Made from thick heavy duty USA steel in a variety of finishes. 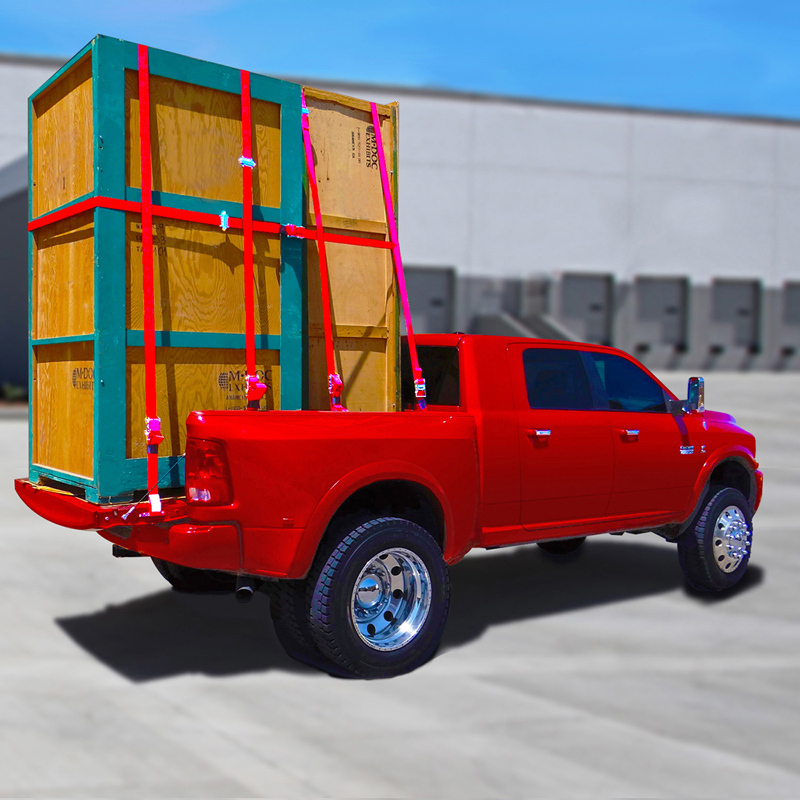 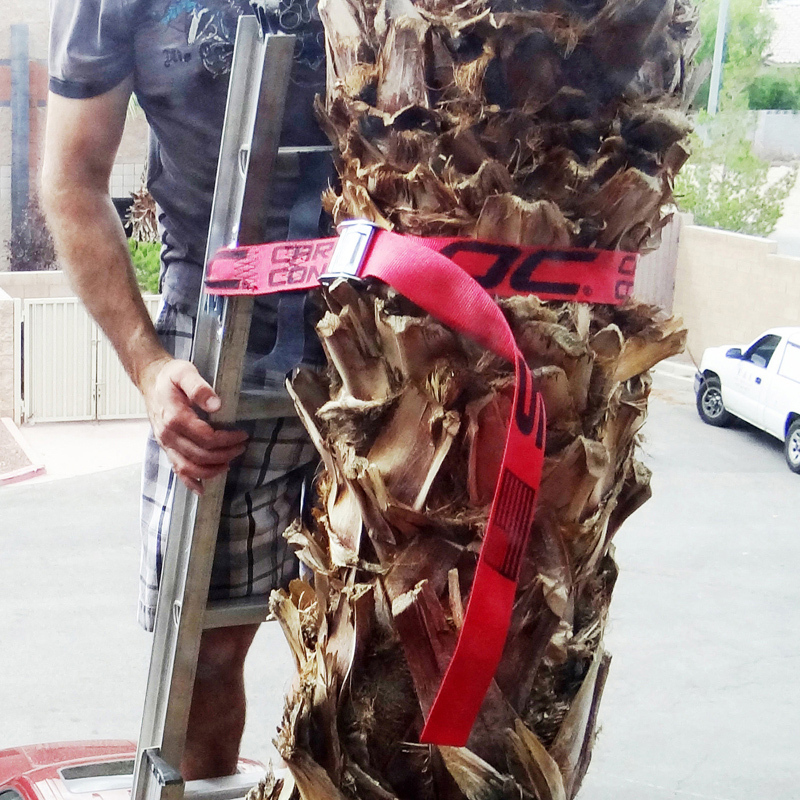 3,000 lb break strength and 1,000 lb working load limit. 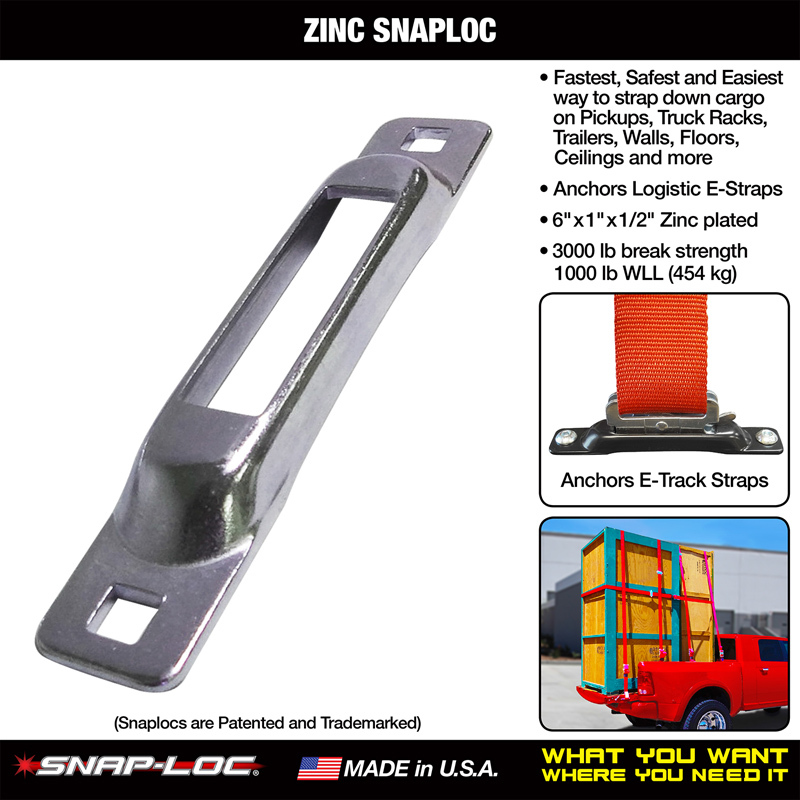 (1,360/454 kg). 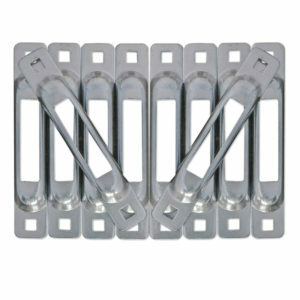 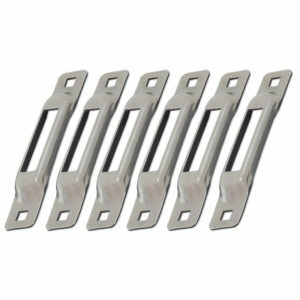 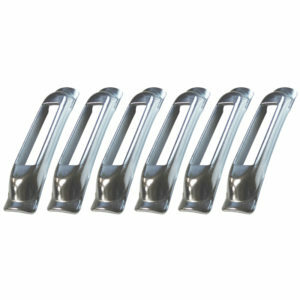 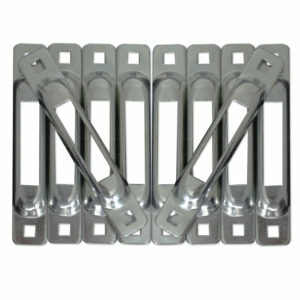 Fits most anywhere measuring just 5-3/4" x 1" x 1/2". 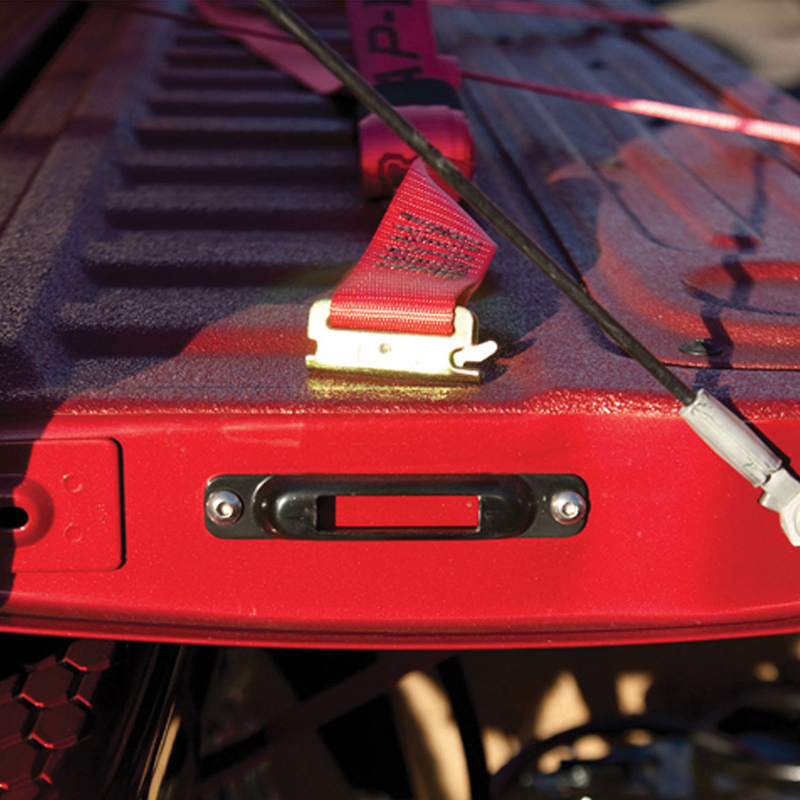 "Ultimate Cargo Control" made in the USA!